How Much Does Paving a Driveway with Asphalt Cost? There are many different things that go into the cost of paving an asphalt driveway, everything from removal, the tools, the labor, and the asphalt itself. Before we dive into this, let’s first look at what asphalt is, and how it compares to concrete. 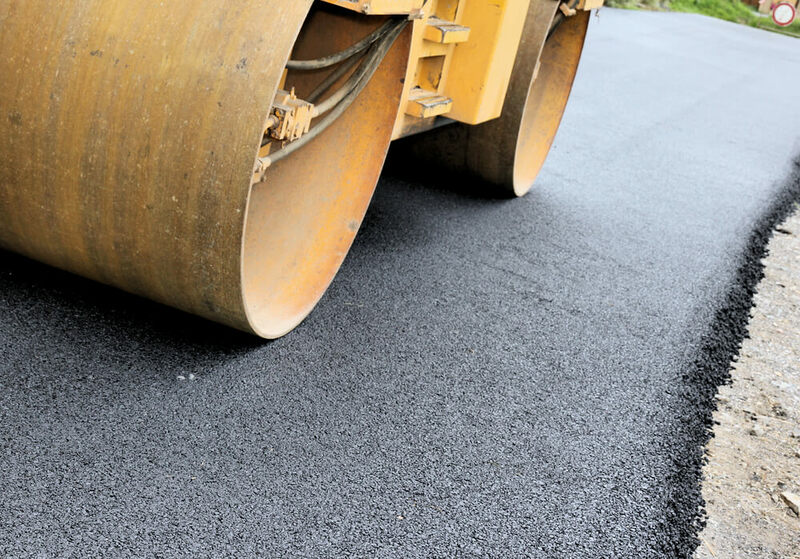 Asphalt, also known as bitumen, is often used in the construction of roads, parking lots, and driveways. It is made from asphalt cement along with an aggregate of sand or stone, typically at a ratio of 1:20. Primarily, manufacturers use petroleum to create bitumen, but it can be found in nature as well. Natural asphalt is the pressurized remains of algae and other living creatures. Other forms can be found all over the world and it has been used since ancient times in multiple applications. Bitumen can also be used as a waterproofing agent, with the earliest occurrence found in ancient times in the Middle East. Today, this substance is often used in roofing, walkways, cable coating, pipe coatings, pools, and even in larger applications such as dams. There are a few differences. Concrete is often tougher and lasts longer than asphalt, but can crack in freezing temperatures, while asphalt has much more give. Asphalt does have the weakness of molding in extremely high temperatures, and isn’t recommended for hot climates. In addition, concrete is often much harder to repair than asphalt, which is the primary reason why it isn’t used in road construction. According to Midland Asphalt Paving, which does asphalt paving in Midland TX, asphalt has a couple advantages, the first being its pliability. As mentioned before, bitumen is typically much more forgiving in colder climates than concrete. It also has the ability to absorb more heat from the sun because of its black color, allowing it to thaw faster. You can expect asphalt to cost anywhere from $2.50 to $4.00 per square foot. This is significantly cheaper than concrete, which starts at $4.00 and goes up from there. A 10' by 20' area would cost anywhere from $500 to $800. Material costs can vary depending on your area and current market prices. When looking at everything, including labor, prices can range anywhere from $1,500 to $10,000, with the average being around $4,500. What Maintenance Is Needed for an Asphalt Driveway? While not necessary, it is recommended to seal an asphalt driveway every three to five years to increase its lifespan. Thankfully, if you do get any cracks or dents in your driveway, an asphalt one is much easier to repair seamlessly. How Do I Know If I’m Hiring a Good Contractor? First you need to get an idea of any work they’ve done in the area. Any good contractor or company should have a long list of examples. Always make sure that whoever you are looking at has all the necessary credentials; there are plenty of companies that keep track of licensing. How Do You Install Asphalt? There are a few steps you need to take, such as removal, measuring, figuring out the slope, creating a base, and getting all the right tools for the job. The most important part by far is getting the right contractor to sign off or help you do it. Having the proper slope is important so you can have good drainage. Using a hose, you can figure out if the water pools anywhere on the plot of land you are working on. Using a shovel, you can flatten over any spots as necessary, ideally getting about ¼” per foot along the length. A good base should be consisted of crushed up rock and sand; this ensures proper drainage. This should be approximately 8 inches thick, with an area of clay and sand underneath it. From here the crushed rock should be pulverized into the area, allowing it to settle for about a week. An asphalt driveway has many advantages over a concrete one in terms of price and maintenance. If you are looking to get your driveway paved, make sure you are getting a proper contractor and pulling all the right permits.